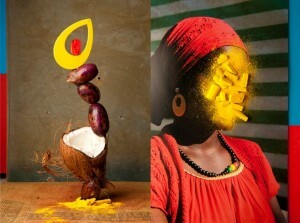 Construct your own photographic studio set in Open Eye Gallery alongside Lorenzo Vitturi. Vitturi is a photographer and sculptor living and working between London and Milan. Formerly a cinema set painter, Vitturi has brought this experience into his photographic practice, which revolves around playful site-specific interventions at the intersection of photography, sculpture and performance. In 2013, Vitturi released his first photo book: Dalston Anatomy (SPBH Editions). The book went on to be shortlisted for both Aperture and Mack’s First Book Awards, and was named among the best books of the year by Martin Parr, Erik Kessels, Alec Soth, The New York Times, The Guardian and more.